Following the international success of his St John Passion of 2007, the St Luke Passion is the second work of this kind to be written by the leading Scottish composer James MacMillan. On this world premiere Hybrid-SACD recording the Netherlands Radio Chamber Philharmonic, Netherlands Chamber Choir and the National Youth Choir are conducted by Markus Stenz. James MacMillan�s attachment to the story of the Passion stems directly from his deep-rooted Roman Catholic faith. He regularly draws inspiration from the story of the Passion, even in his purely instrumental works. Like most of his composer colleagues, MacMillan had of course listened attentively to Bach, but as a British musician he also felt a close affinity with the tradition developed by Vaughan Williams, Tippett and Britten who had put the choir centre-stage in their settings of religious texts. The St Luke Passion is a smaller-scale work than his St John Passion, more compact and on the whole more serene. This is partly due to the specific ambience of the Gospel according to Luke, which MacMillan considers to offer greater scope for concepts such as forgiveness and redemption. The role of Evangelist is interpreted by a mixed four-part adult choir whilst the orchestral forces are modest: a single flute and clarinet, no trombones or tuba and no percussion instruments apart from timpani. The organ is given a pivotal role within the orchestral texture. The work was the result of an international five-way commission which included the City of Birmingham Symphony Orchestra and the Britten Sinfonia, both of which are featuring it in their 2014-15 seasons. The premiere took place in the NTR ZaterdagMatinee series at the Royal Concertgebouw, Amsterdam in March 2014 when the performance on this disc was recorded live. 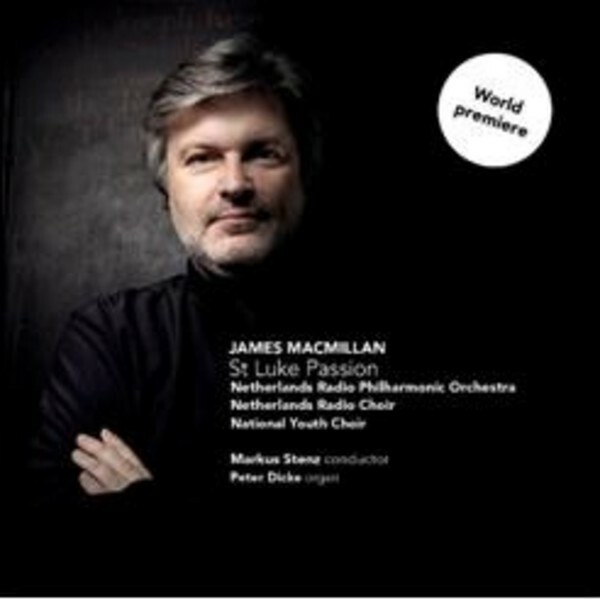 This is the fourth recording by Netherlands musical forces of James MacMillan�s work on Challenge Classics. The previous three (CC72540, CC72554, CC72638) were all conducted by the composer.